I took the plunge and cancelled my ADSL, dont see any point in paying £24 for 4Mb ADSL (that does include £5 fee for not having Sky line rental), I also should be able to get £7 reduction in my BT line rental for having no broadband on the line I believe. I spent years waiting for copper overlay for ADSL and ive now waited 8 years for nothing Fibre, im defeated at last. SIM-only, or that Three WiFi router with the included SIM? Have you checked what your Three speeds are like? I did, with a 99p SIM from the paper shop. If you are a gamer I think the latency could be a problem. I did have both £20 Unlimited and £30 100GB Mifi, both in separate Mikrotik SXE LTE kits, but last week I replaced the 100GB with another £20 Unlimited for unlimited 50:50 load balance - gave the 100Gb to daughter as they also have only 4Mb ADSL. Hardly ever game, and certainly not worried about latency, im not that competitive. Just done a test and got 28ms ping, which is just as good as what my ADSL could manage. Way beyond what I need, at the moment, but an easy way forward if I ever do need more. I suppose I could even run a server with that, for a small site! The £20pm SIM I have is back on sale as well. Until mid-day Monday. 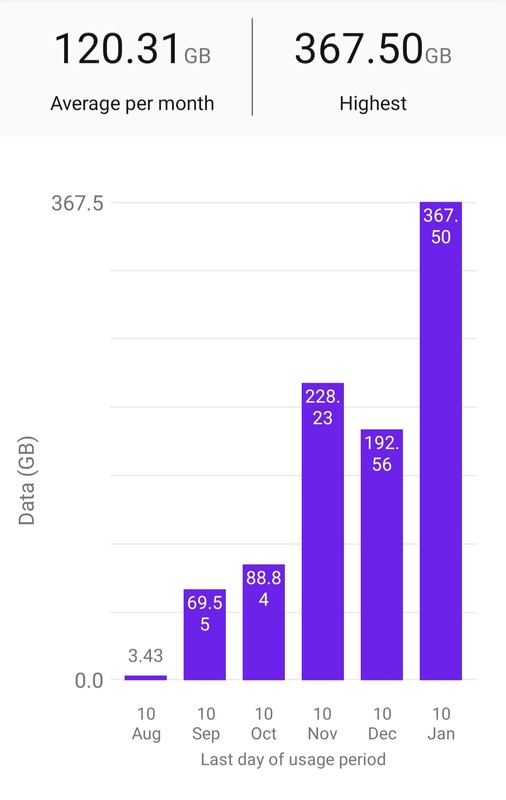 Thats going to help us at Virgin Mobile - I swear this deal has caused VM to poo themselves - I am in month 4 now and I literally keep getting 100GB rollover even when I use all my data - my wife also seems to have permanently kept her rollover data even though she does not use it. I just signed up for the 2 year mifi deal - I travel a lot and it would be handy to wifi my car - comes with a power lead and being able to plug my imac in at home too via wired is a bonus. I have my mobile to backup the backup afterall. I also should be able to get £7 reduction in my BT line rental for having no broadband on the line I believe. The change will come into effect from April 2018 for BT Consumer landline-only customers who just take phone services from us and don’t have broadband, either with us or someone else. I think this might count as broadband from "someone else". On the landline, mobile broadband isnt landline. Ive already spoken to BT and they have confirmed the reduction when the line is clear of broadband services.